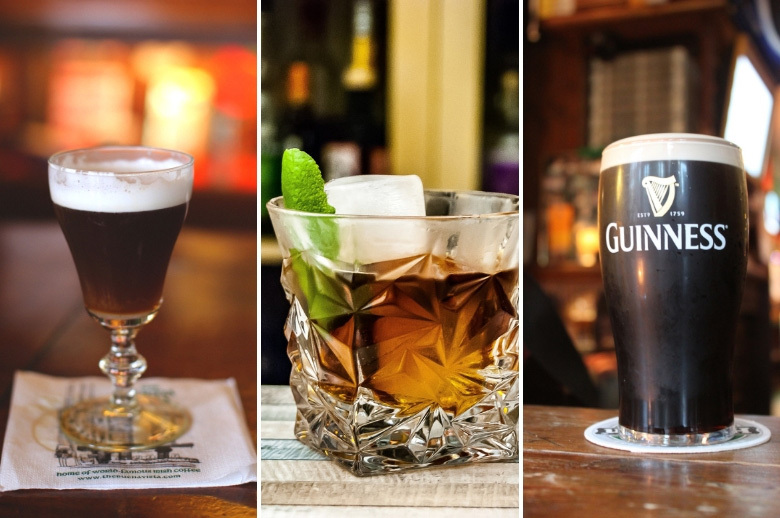 Look, this is indeed a list of the 15 best Irish drinks you must try, but note that you don’t necessarily need to have all these delicious drinks in Ireland in one night. Drink responsibly and sláinte, dear reader! As I was writing this article, Frank realized it wasn’t a good idea to leave it to me because from the very first paragraph until the conclusion I was telling him some ideas that had just popped into my head: taking beer tasting lessons, going for a walk so we could stop by the liquor store, and so on. But hey, Irish drinks, the really traditional Irish drinks are honestly the best drinks to order at a bar. Why? Because the folks in the Emerald Isle have been producing the highest quality of alcoholic beverages for centuries. They know what they are doing. Period. So to help you avoid overwhelm and the noise out there, we have selected 15 drinks for you to order in your next trip to Ireland. Or you can do like me, and you can sip/ prepare them at home. For now, we’ll only talk about Irish drinks with alcohol. Oh, and last but definitely not least, I’ll also tell you which drinks you shouldn’t order in Ireland under no circumstances and why. Wanna know more about the drinks in Ireland? Read on! Drinks in Ireland: Guinness is a must! Note on craft beer: This type of beer is becoming bigger and bigger in Ireland, so many excellent breweries are popping up here and there. So we promise to update this post with new Irish beverages as we try them, including these local Irish breweries you won’t find in many places outside of Ireland. Great, now let’s get it started! First things first, the worldwide famous Irish beer must start this list. If you haven’t tasted it yet, well, you should! Guinness is a light beer that tastes like coffee and dark wheat. It’s a smooth beer with a dark amber color that perfectly matches its gentle coffee smell. Can you taste it yet? 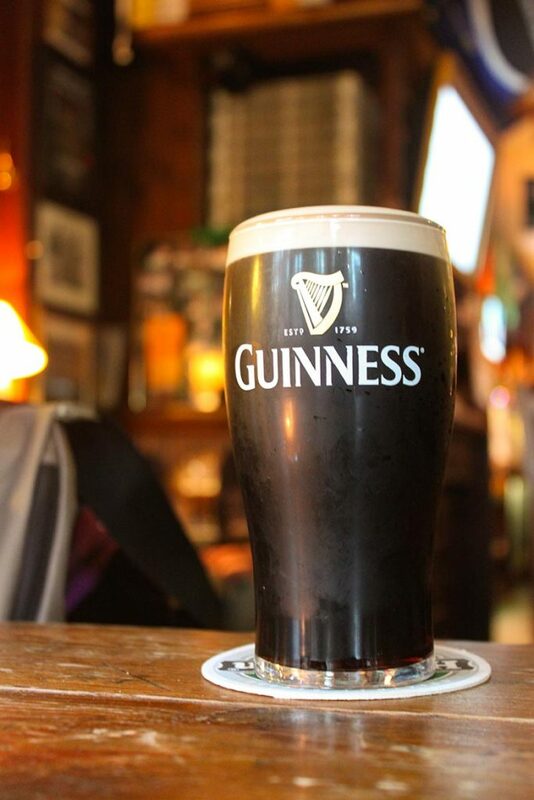 Guinness’ story began in the 18th-century in Kildare County when Arthur Guinness used his godfather’s inheritance (£ 100) to set up his ale brewery. 48 years later he decided to take the leap and focused on brewing only dark beer. After his death, his son took over the business, and after years of improvement (and success), the beer we know today, was perfected. Smooth and malty with a slightly bitter taste, a tad sweet. This reddish brown ale was founded in Kilkenny in the 18th-century, but Smithwicks started brewing long before that. Guinness bought it a little over 150 years later. Following the dark beer team, Murphy is a creamy and smooth beer that has a tad of coffee/ dark chocolate and roasted grain aroma. Taste is well-balanced between bitter and sweet. If you want to try an Irish stout that is not Guinness, try Murphys. There are similarities and yet so much difference. Hard to explain. You have to taste it to understand. Perfect for those who want to lighten up their Guinness pint, black and black is basically Guinness mixed with blackcurrant. So the latter smooth the bitter taste of the stout. As mentioned above, Guinness tastes like roasted coffee and dark wheat, and some people might not like it (Frank included, can you believe that?!). So add blackcurrant to it if you’re like Frank and you’re good to go! 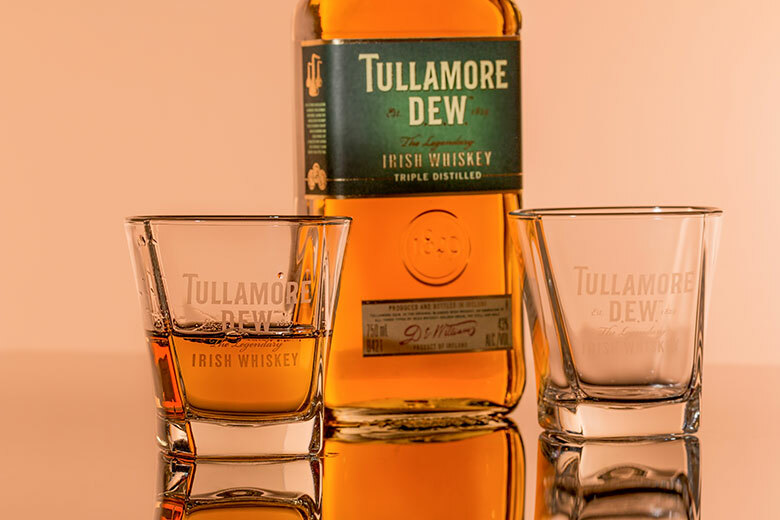 Whiskey, or the literal translation from the original Irish name “water of life” (uisce beatha), is one of the most famous Irish drinks, and rightly so because it has a smooth finish due to the fact that most brands don’t use peat (Connemara is an exception). In contrast, most Scottish whiskeys do use peat what gives them the smoky and earthy taste. Fun fact: by law, Irish whiskey must be produced in Ireland (duh) and aged in wooden casks for three years to be considered whiskey. Again, a triple distilled. This whiskey has a fruity and spicy lemony, malty notes with charred wood undertones giving it a soft and buttery flavor that lingers in the mouth. It’s known for its smoothness and moderate complexity, as you might have noticed. One of the biggest names of Irish Whiskeys, Jameson is incredibly smooth and slightly sweet, has a vanilla-ish taste with woody and nutty tones. Aging time is between 4-7 years. 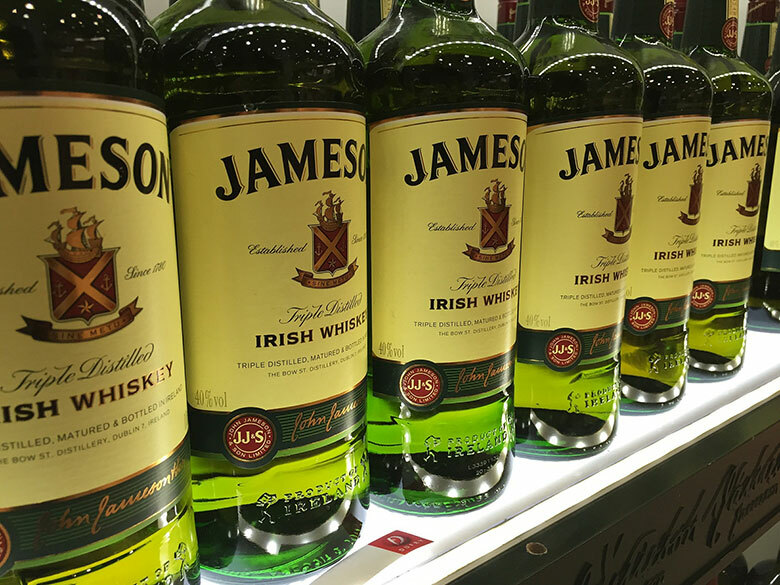 Furthermore, because this kind of beverage is really strong, many people look for some Jameson mixed drinks, such as the next three Irish mixed drinks. An Irish alcoholic drink that is much weaker than Jameson alone because it has three parts of ginger ale and one of Jameson. Perfect if you aren’t used to drinking such strong beverages, but want to try it for the first time. You basically fill a tall glass with ice, (as said) pour one part of Jameson whiskey over the ice, then top up with ginger ale and stir gently. Cut a large lime wedge, lightly squeeze it into the glass and drop the wedge it in. The first hot drink in this list, Irish coffee is the perfect drink for caffeine lovers who like to take it to the edge. As you might know, Ireland is a land of tales, and coincidentally, legend has it that an Irish man created this drink during WWII to cheer up passengers of a flight that returned to Foynes, a village in Limerick county, on a winter night due to bad weather. This is one of the easiest Jameson drinks you can prepare at home, just be sure to warm the glass with warm water to avoid breaking it. 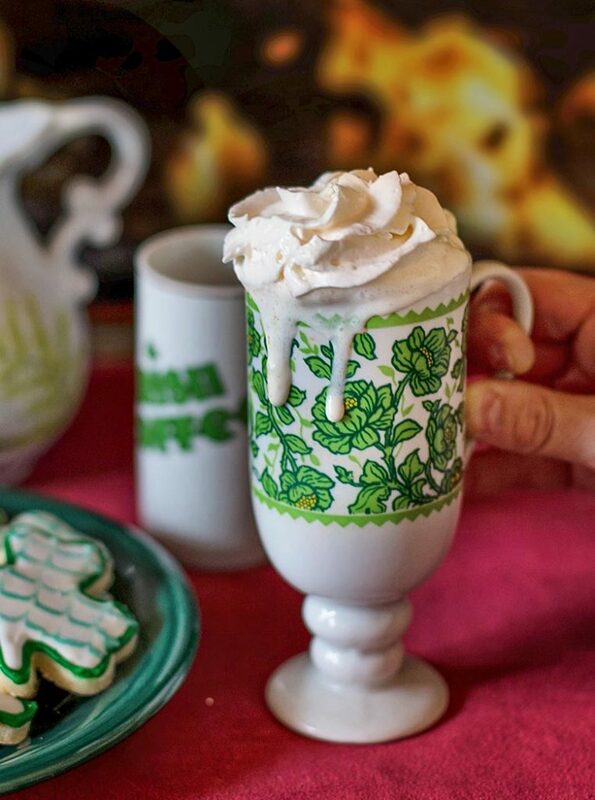 In summary, this Irish drink only contains whiskey, sugar, whipped cream, and hot coffee. Oh, and the classic recipe is prepared with Jameson, but if you want a more spicy taste, go for Bushmills, a fruity and spicy whiskey with gentle vanilla and honey notes. Also known as Hot Toddy, this is a strong remedy for those dull days, either because you have a cold or are just moody. On top of that, the Irish alcohol together with lemon, spices, and sugar will ease you down. In a nutshell, Irish hot whiskey is prepared with the ingredients above mentioned, cloves and a little boiling water. Irish cream is made of cream, Irish whiskey, and flavorings. A sweet drink that is mostly loved by women, including me. Usually, the alcohol by volume ranges between 15-20%, and it’s a bit too easy to drink – be careful, the sweet taste might catch you off guard – you can definitely get drunk by drinking Irish cream liquor. 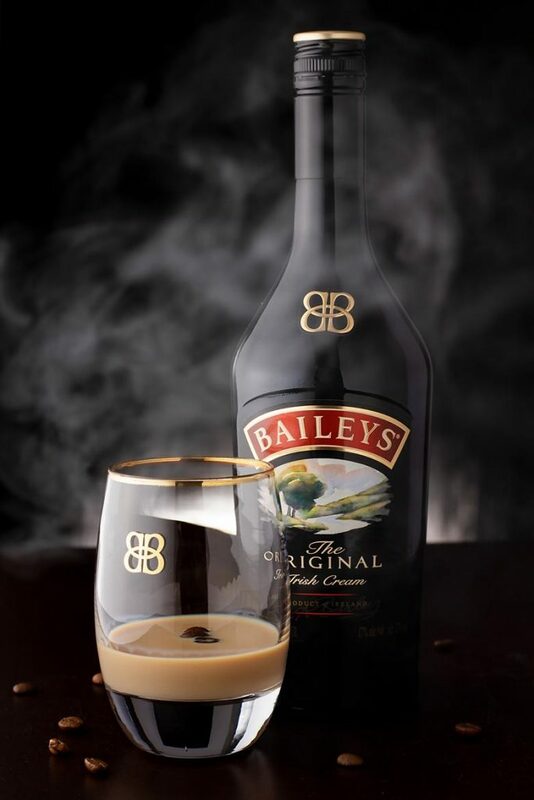 Inspired by the process of making ice cream, Baileys is a delicious mix of Irish whiskey (Bushmills among others), rich cocoa beans, and top vanilla seeds. The result is a deep nutty/ coffee/ chocolate aroma and taste. Drooling over here. Good when served on the rocks or just cold. Oh, and the Chocolat Luxe bottle uses Belgian chocolate. Note: If I were to choose an Irish Cream Liqueur to mix in a drink, I would pick Baileys rather than Coole Swan. The latter is too pure and good for that. I’m sipping some Baileys as I write this article. Cheers! Frank isn’t a fan of this type of beverage (not just Irish liquors specifically), but he makes an exception for this mouthwatering Irish liqueur with white Belgian chocolate and creamy taste and aroma. It’s smooth and sweet, but not overly sweet, no worries. In our opinion, it’s tastier when served on the rocks. Carolans’ differential is their final touch: honey! This Irish drink also uses cream and excellent Irish whiskey, which has its flavor accentuated by the honey, so its notes come more clearly through. This smooth liqueur has gentle notes of toffee and vanilla. Very creamy but not overly creamy, Carolans is delicious with coffee or just on the rocks. Many people ask if Carolans is as good as Baileys, and my answer is yes, but the former isn’t so heavy like the latter. Cider had become increasingly popular in Ireland and in the UK in the last years. Basically made of fermented apple juice, Irish Cider is the perfect refreshing drink in the summer (and the ideal beverage to warm you up in the winter). With around the same alcohol percentage as beers, cider is an excellent option for those who want something more than a regular beer. It’s nice to try new things sometimes. 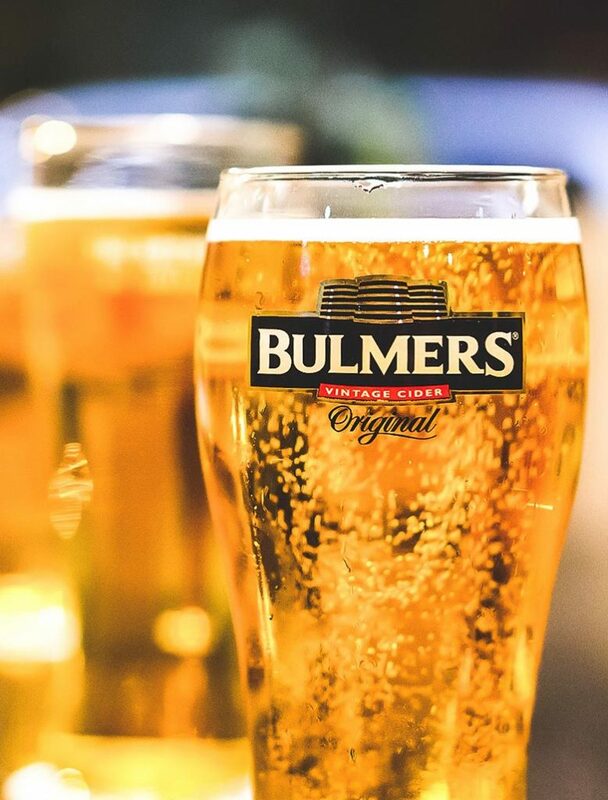 Bulmers is one of the most famous Irish drinks. A cider brand in Ireland that uses 17 varieties of Irish apple to produce its cider. It has a refreshing bubbly sweet flavor and only 4.5% abv. Besides the original taste, it also has five fruity variants: Light, strawberry & lime, lemon, berry, and pear. All tasty and refreshing. Good to know: Bulmers is Magners in Northern Ireland and outside Ireland for trademark reasons. Heineken is the world’s largest producer of cider, and Orchard Thieves is part of this Dutch company’s portfolio. However, according to them, OT was produced especially for our Irish buddies’ taste based on researches. A relatively sweet drink, Orchard Thieves is a refreshing beverage that has that delicious crisp apple taste. As I said, it’s quite sweet, but don’t worry if you’re part of the low sugar team, they sell a light version too. Glendalough Distillery produces top-notch botanical gins among other Irish beverages, such as whiskey and poitín. Also, the company forages wildflowers and plants in the Glendalough region each season so they can make seasonal gins representing the region as well as each time of the year. So, summer, fall, winter, and spring. 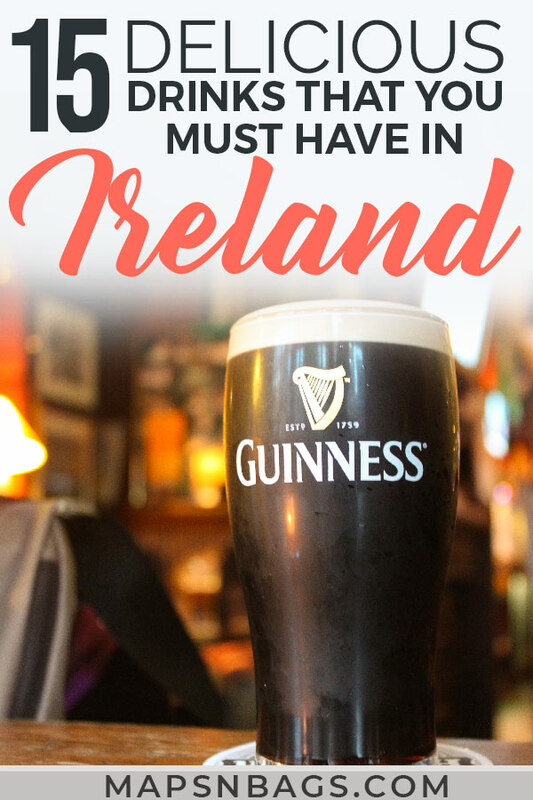 Well, this list has lots of Irish drinks that you should try in the Emerald Isle as well as at home (why not, right?!). 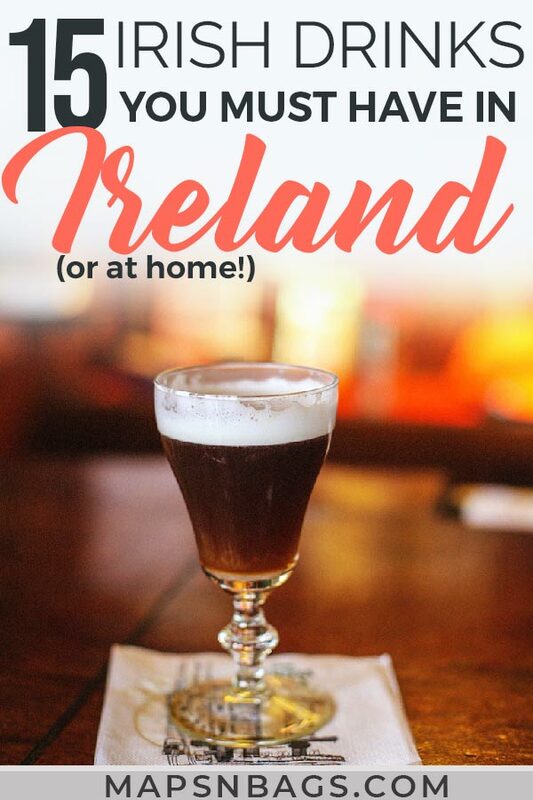 However, there are a few drinks in Ireland that just shouldn’t be ordered because their names are historically offensive to the Irish people and totally inappropriate, in our opinion. People who do order them will risk having their drink spit on or being thrown out of the pub. You have been warned. It’s a layered drink of Guinness and Bass Ale, a pale ale beer. If you’re trying it at home, you should pour Bass Ale first, then with the help of an inverted spoon, pour Guinness so it can layer onto the light-colored beer. So far it seems pretty unoffensive, and it would be if the name wasn’t black and tan, which was the nickname given to the British paramilitary force formed by WWI veterans designated to stop the Irish independence movement in the 1920s. As a matter of fact, they used highly violent methods also against civilians and burned down whole towns. Hence the Irish despise towards this name. Moreover, they wore black and khaki clothing, and for this reason, they were named black and tan. Now you know. Please, be empathetic and order other St Patricks Day drinks, such as a Half and a Half. The drink is a 3/4 pint of Guinness, then one drops a shot of half Jameson, half Baileys inside the glass. After that, it starts foaming, hence the bomb in the name. Again, so far it’s inoffensive, but it isn’t. A little research will show you that car bombs were widely used by the IRA and the Ulster loyalists in the second half of the 20th-century throughout Northern Ireland and occasionally spread in the Republic of Ireland and England, killing lots of people, including pregnant women and children. Just like black and tan, this name is historically offensive in the country for good reasons, and saying it out loud like you’re celebrating it shows insensibility, like many people taking cool selfies in front of Auschwitz or war memorials. Can you imagine a drink called 9/11? Ouch! Avoid being thrown out of a bar and just order Guinness. The complete list of drinks in Ireland that are worth trying is surely much longer, but with this article, we hope to give you an idea of what you should order in the Emerald Isle (or even prepare at home!). 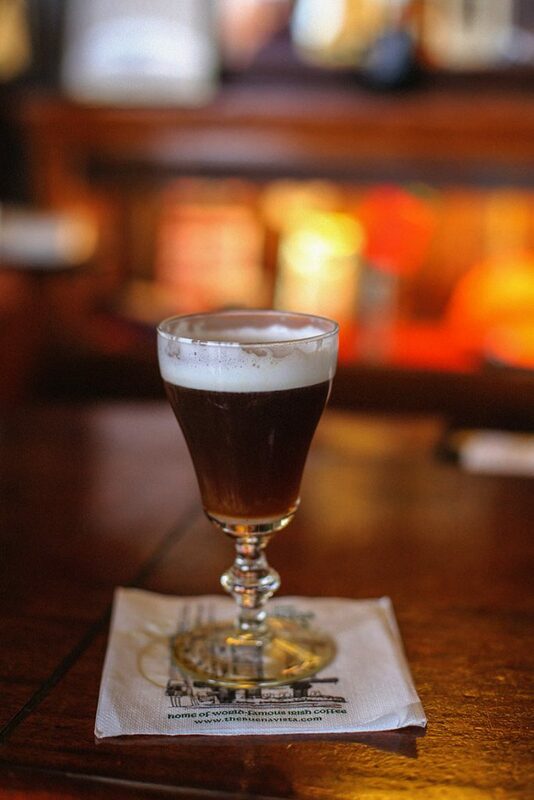 If you by any chance, know about some other Irish drinks yourself, let us know in the comments. We’d love to hear from you! Did you like this article about Irish drinks? Then help us spread the word and pin it to your Pinterest board! This entry was posted in Ireland and tagged Drinks.